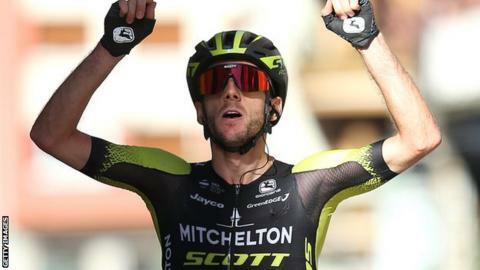 Britain’s Adam Yates won the final stage of the Tour of the Basque Country as Spain’s Ion Izagirre claimed overall victory. Mitchelton-Scott rider Yates made his move in the final three kilometres to win in two hours 59 minutes 46 seconds. Ireland’s Dan Martin trailed Yates by just one second, with Astana’s Jakob Fuglsang third. Yates, 26, finished fifth in the overall standings, 51 seconds behind Astana rider Izagirre. Team Emirates rider Martin finished second overall. “There were around 60 to 65 kilometres to go and the pace was super hard but luckily I had some team-mates there to really push the pace,” Yates said.